Few things feel better than coming home after a long day and slipping into pajamas (I am loving this gingham set from Romwe!) and taking off your makeup. 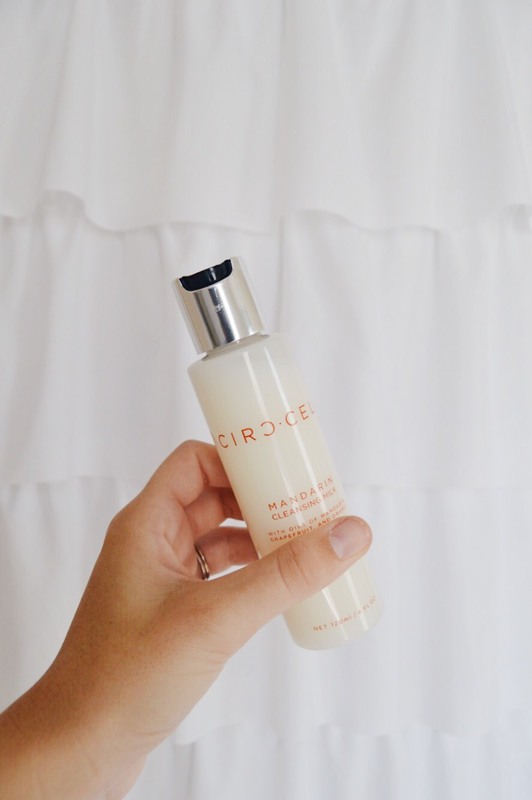 For the longest time I had struggled with finding a good, gentle cleanser that was strong enough to remove all my makeup, that is until I found this Mandarin Cleansing Milk from Circ Cell. This cleanser is incredibly gentle, smells divine and dissolves makeup and dirt without drying skin out. In the evening before bed, I simply wet my face, add a small amount of this cleanser onto my hands and massage into my skin and then rinse. My skin is left feeling soft, cleansed and ready for bed.